Any man will be able to find plenty of gift ideas for her if you want to give a gift to an expectant mom. Some women receive cars and other expensive gifts at this time, but for most women it is the thought that counts. It is natural for a man to want to celebrate such monumental news with a gift to mark its significance. Expectant fathers often give a wide variety of gifts to the moms-to-be at any time after the confirmation of the pregnancy. Some men even take it a step further by giving little gifts throughout the pregnancy and even after the arrival of the bundle of joy. Flower gift basket: You can never go wrong with a nice flower basket containing all her favorite flowers. These are ideal at any time during the pregnancy and even after she has given birth. Specialty gift baskets: These can offer all kinds of surprises as they can contain a wonderful mix of items. If you want to give something a little different from regular gift baskets this is the way to go. Jewelry: This is a favorite with women and she will love getting a unique congratulatory token for being pregnant from the excited father. 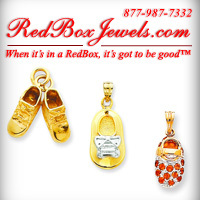 Rings, charms and necklaces are great options for soon-to-be moms. The daddy can take this a step further by engraving significant words or details on the jewelry such as the date they found out about the pregnancy or the baby’s birthday. Gift cards: These give the mommy-to-be some say in what she gets. A useful gift card can be for a day at the spa so that she can relax and get some pampering before or after giving birth. These can also be for maternity items at a trendy shop so she can get some stylish outfits for work. Photo albums: Taking and organizing pictures is major activity for many pregnant women. Pictures are great mementoes of the pregnancy and the first few years of a child’s life. If she does not have a good digital camera, now may be the opportune time to get her one so she can have fun capturing these memories. Other gift ideas for her that make sense include getting her some help with decorating and setting up the nursery. This is an especially thoughtful gift for expectant mothers who work long hours, or who are unable to do much during the pregnancy. Some women have ideas but need help putting them all together. Surprising her with a beautifully decorated nursery is a gift she will not soon forget. Most first time enjoy getting books and videos on pregnancy, childbirth and parenting. There is no shortage of titles on the market. Apart from searching online, ask for recommendations from friends and family members. Some titles that are fairly popular are: Pregnancy Day By Day: The Expectant Mother’s Journal by Sheila Kitzinger, The Girlfriends’ Guide to Pregnancy by Vicki Iovine and The Mother The Girlfriends’ Guide to Pregnancy cover the first twelve months of the baby’s life. You may even get an idea of what she wants if she shares a few thoughts from her writings. Mothers, whether or not they are first-timers, always enjoy getting gifts from their baby daddies. Any man who wants to please his special lady will definitely have a lot of fun exploring all the options when it comes to gift ideas for her. Finding that special token is not that difficult, especially if you put a little thought into the gift. Most moms-to-be will admit that it is the thought that matters most and they will be happy with just about any gift they get.